As many readers here know, I'm a fan of quick, simple games that you can put in your gaming backpack to get out a moment's notice when you've got some time with friends. What you may not know is that I'm also a fan of Scrabble. I used to play it all the time back when I had some regular opponents for it. Well, up on Indiegogo right now is The Best Card Game in the World, which is basically a mix of one with the other. In the Best Card Game In The World, players draw cards from the deck that contains both letter cards and action cards. When you have letter cards to make a word, you play them out, gaining a point for each letter. 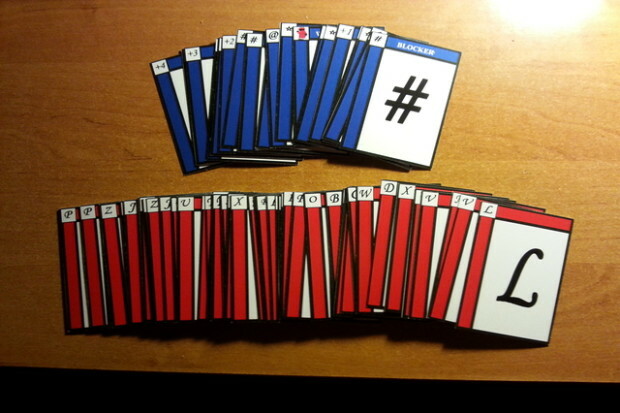 Your opponent, though, can play Action cards that modify how many points you get. Other action cards let you do various things such as peek at your opponent's hand. The campaign is up now on Indiegogo and is set to run for another 15 days.